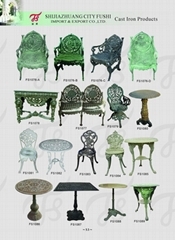 Fu-Shi company has approved to deal in maufacture cast iron products and fiberglass products from 1993. We specialize in cast iron garden ornaments reproduction and fiberglass planters . 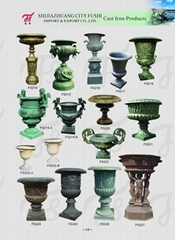 The leading products, such as cast iron urn,planter, fountain, fireplaces, statues ,chimnea ,urban furniture with 10 series including more than 1000 items. 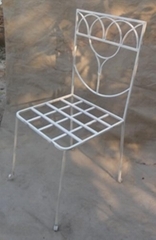 Now we can supply you the fiberglass planters & wooden photo frames.Pls see the photos.